This is where we need help from our valued members and Art enthusiasts! Please help us to identify sponsors who would be willing to contribute something to the GALA. We need Food & Beverage Sponsors most! We all have things of value in our lives that go unused or unappreciated. Consider donating them to VALA to be raffled or auctioned off! We will need volunteers for the event: Check-In guests at the Door, Bartender, Raffle ticket and Auction Item check-out help. Artists: We will be having an Artist work day to create art pieces in a group setting to be auctioned off at the event, so stay tuned for details of this! Can’t make the Artist Work day? Consider donating a piece of your art for the auction. Artist Reserves may be set for auctioned art. All Sponsors, and Artists contributing Artwork will receive complimentary tickets to the event and special recognition at the event on our website, social media and in promotional material. Major Sponsors($500+) will have Endowment Scholarships in their name. A portion of proceeds raised for this event will go towards scholarships awarded to HS Students pursuing Art Careers. 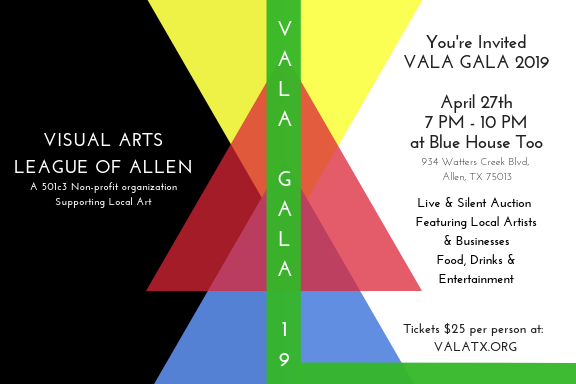 Please reach out to friends, colleagues and local businesses who would like to support the Arts, and let them know about the VALA Gala! 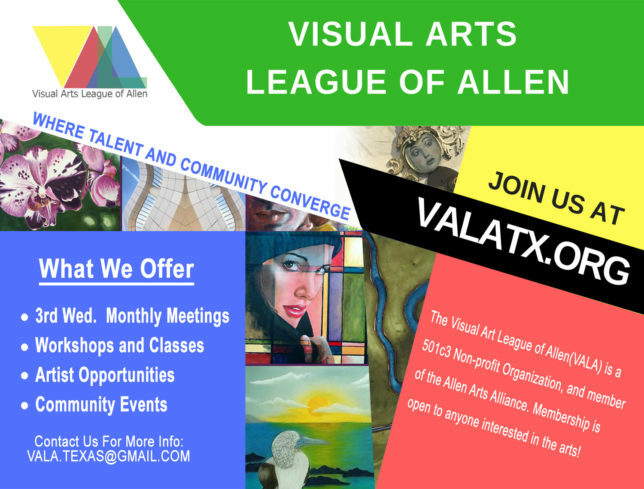 Thank you immensely for helping VALA make a difference for local Artists and Arts in the Community. It takes a Village!